Are you looking for dental treatments that support and promote whole body health? Learn more about mercury-free dentistry and what it means for your well-being. Today, more and more people are seeking a more comprehensive and hands-on approach to healthcare, which is why the services of mercury-free dentists are increasingly being sought after in Canada, and around the world. Passionate about treating their patients in the most healthy, caring, and holistic way possible. Eager to share information about dental wellness with their patients, so they can make more informed and educated decisions about their oral health. At Dr. Korol Dental, our team of mercury-free dentists provide dental treatments that encompass your whole health, including ceramic dentistry, safe mercury removal, and xeomin therapy. Whatever your needs, we take a unique approach to dental health care, combining modern technology, advanced dental science, and a deep concern for our patients’ physical health, as well as their emotional well-being and comfort. Who Can Benefit From Seeing a Mercury-Free Dentist? Holistic and mercury-free dentistry is a key component of the ‘whole body’ approach to medicine and healthcare which is being embraced by patients and the medical community today. Mercury-free dentists understand the intimate and important relationship between the health of your teeth, and your overall well-being, which is why such oral healthcare professionals only use the most biocompatible materials to help them in their efforts to return their patients to optimal dental and overall health. Traditionally, patients only received treatment for the dental issues they presented. However, today, you can get oral treatment that encompasses your whole health. One of the main aims of holistic dentists is to educate their patients’ on their oral health, and how it affects their general well-being. This is to ensure that you will be able to make educated and well-informed decisions when it comes to your oral treatments. A holistic dentist will also give you advice on the best lifestyle and dental hygiene practices, so you can control your oral and overall health by regulating the habits that improve or deteriorate it. Some traditional dental treatments may not be completely healthy for your mouth and body. A good example of this is amalgam fillings. Made of mercury, which is a toxic substance, amalgam fillings can lead to a host of problems and may increase your risk of developing certain health conditions. In addition to this, many holistic dentists discourage the use of fluoride in treatment, as fluoride is known to have some detrimental effects when used over time. Instead, holistic dentists opt for ozone therapy. A key part of holistic dentistry involves the safe treatment of oral issues. Before your mercury-free dentist starts with any dental treatment, he or she will first check to ensure you’re suitable for the selected procedure. At times, individuals may have complications that hinder certain dental treatments. For example, patients with sleep apnea may not be candidates for sedation dentistry, as it may trigger an obstruction of the airway. Your holistic dentist will always keep your overall health in mind when deciding which is the safest method of treatment for you. Are you looking for a dental treatment that protects your oral and overall health? 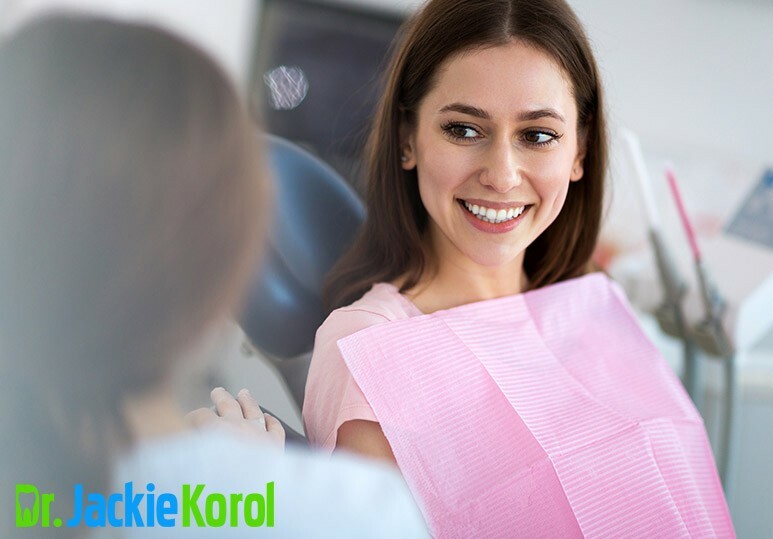 At Dr. Korol Dental, our dentists use mercury-free and biocompatible materials for all our treatments, to ensure you enjoy total mind and body wellness. To find out more about our holistic dental services, contact us today at 403-245-9099 or book an appointment.